The Rocket Rooster Canon LUTs are a cool set of 100 LUTs for Canon C-Log 1,2,3, Linear and Cinestyle that make is quick and easy to get great filmic results. These LUTs are designed to help you work fast, get professional results, affordably and effectively. 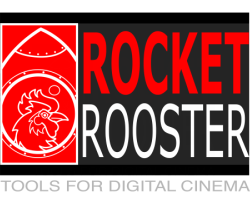 The Rocket Rooster GH5 looks are a great new set of Cinematic looks designed for Cinelike D, Linear (Natural, Standard ETC) and Vlog L. The set features 25 looks including Panasonic VLT LUTs for monitoring with the looks in camera. Check out the new Slog Looks for Sony cameras. Choose from over 90 LUTs with 30 core cinematic looks for Slog 1, 2 and 3. Also included in the pack is a set of LOT to linear conversion LUTs. Check out the Rocket Rooster Blackmagic Looks, a cool new pack featuring 30 cinematic looks for Blackmagic cameras. The pack supports all BM camera sensors; URSA 4.6k, Cinema Camera/Pocket/Micro 2k and the Production Camera/URSA 4K.